Alcatraz font here refers to the font used in the title of Alcatraz, which is an American television series first broadcast in 2012. 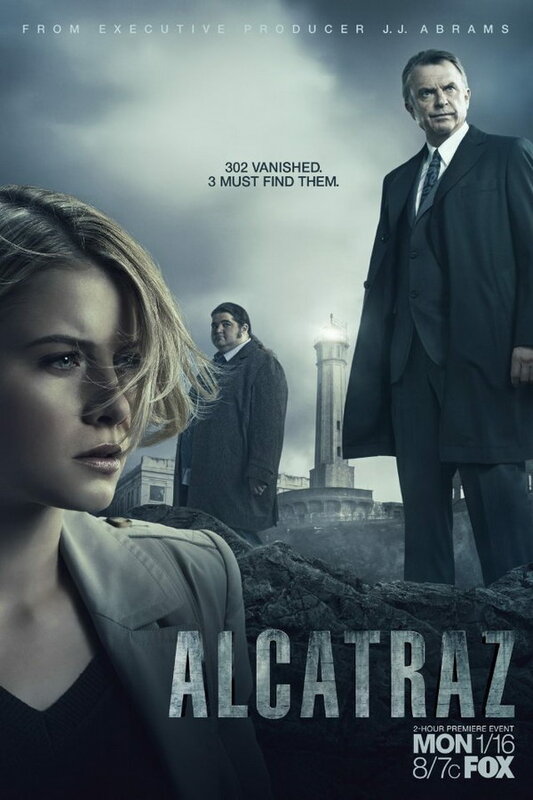 The TV series centers on the Alcatraz prison, which was allegedly closed in 1963 due to unsafe conditions for prisoners and guards. The TV series title was probably designed based on Helvetica Ultra Compressed. The font is a commercial one and more details about it can be found here. In addition to Alcatraz, Helvetica typeface is also used in the following logos, movie posters or album covers etc., including: Hitachi, Dirty Harry, Bendix, BMW, Deadmau5, First Take, Crisis, TV Land Logo, Sears, Philippine Airlines, Staples, The Bachelor, Epson, Parental Guidance, Comme des Garçons.